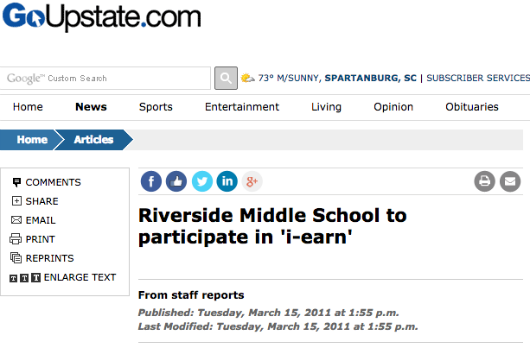 'Riverside Middle School to participate in iEARN,' Go Upstate.Com, March 15, 2011. 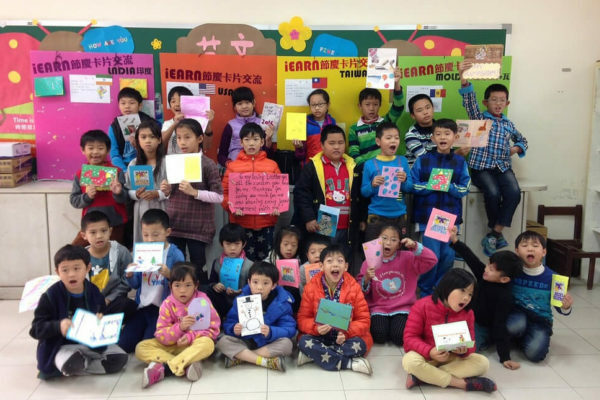 Schachter, Ron, 'Global Learning Scales Up: Districts build on the success of private, internationally oriented schools and foreign language programs,' District Administration, March 2011. A showcase of youth-produced media from around the world. 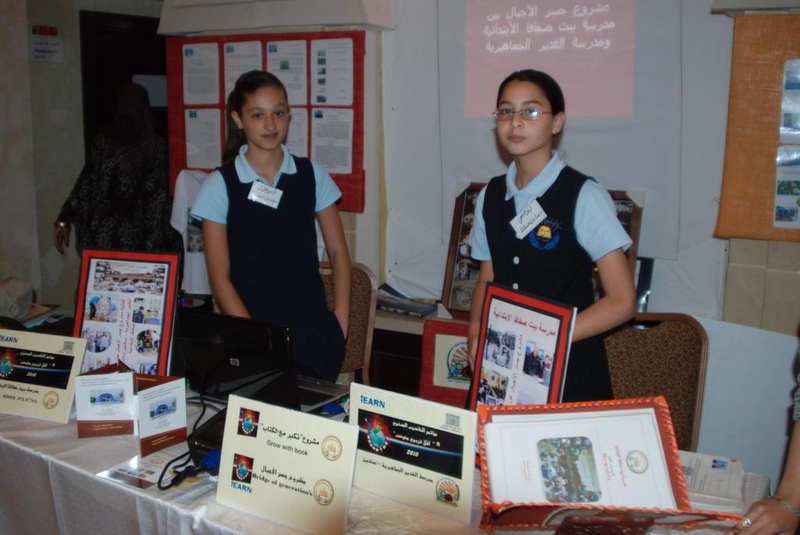 Students and teachers from 40 schools presented their projects at a local conference on May 16th 2010. Gragert, Edwin. Engage The World: Effective Networking for Global Awareness and Global Education, Huffington Post, May 19, 2010. 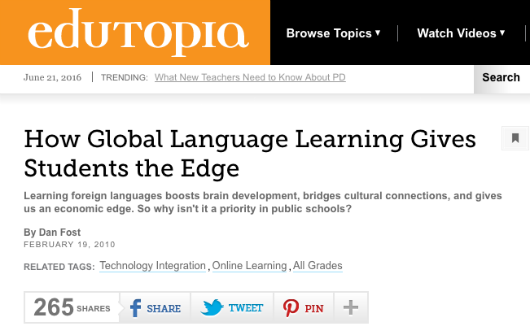 Fost, Dan, How Global Language Learning Gives Students the Edge, Edutopia, April 2010. 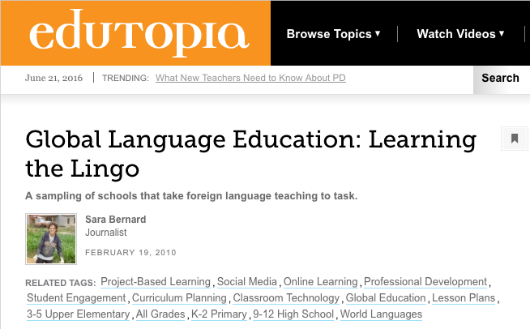 Bernard, Sarah, Global Language Education: Learning the Lingo, Edutopia, April 2010. 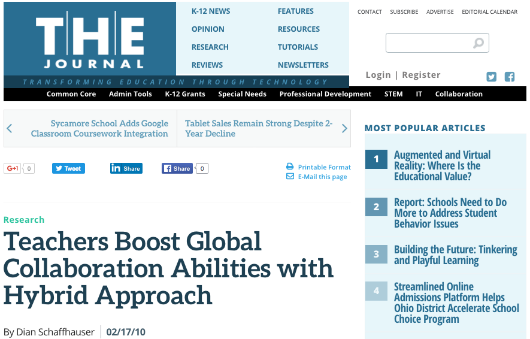 Aronowitz, Scott, 'International Online Teaching Conference to Focus on Web 2.0, Collaborative Technologies,' T.H.E Journal, April 2010. 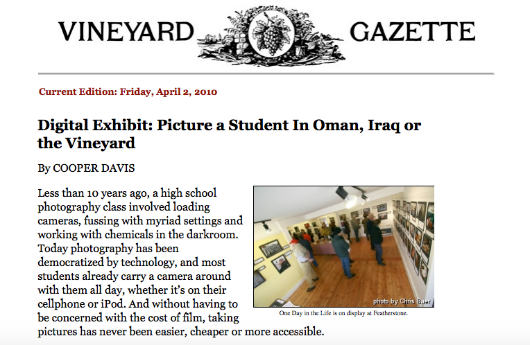 Davis, Cooper, 'Digital Exhibit: Picture a Student in Oman, Iraq or the Vinyard,' Vineyard Gazette, April 2010. 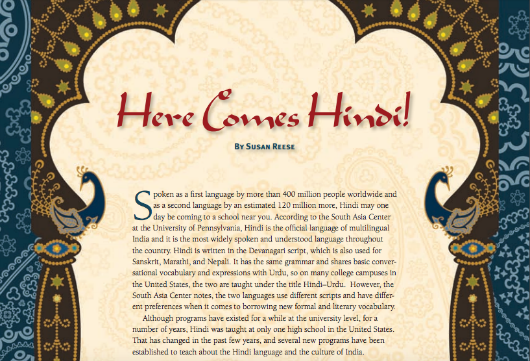 Reese, Susan, 'Here Comes Hindi!,' The Language Educator, April 2010. 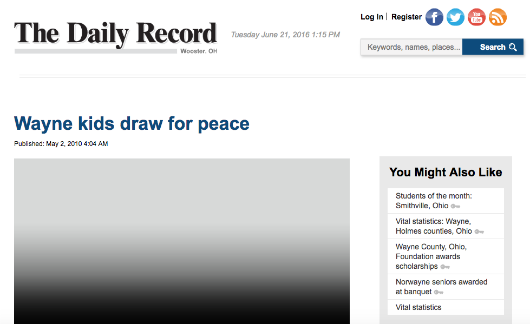 Hall, Linda, 'Wayne Kids Draw for Peace.' Wooster Daily Register Record. 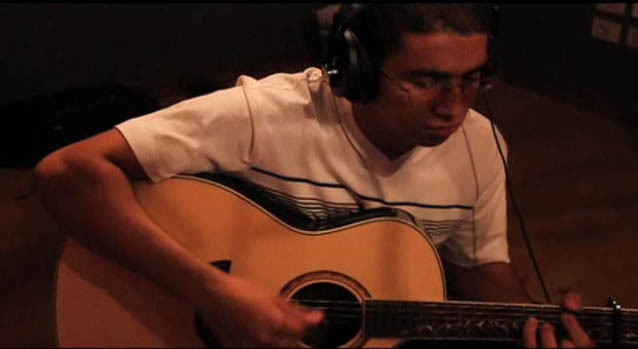 May 2, 2010. 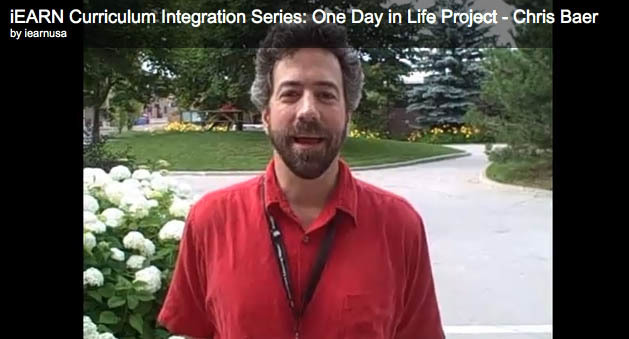 Schaffhauser, Dian, Teachers Boost Global Collaboration Abilities with Hybrid Approach. T.H.E. Journal, February 17, 2010. Kagan, Aaron, In this cultural stew, trading ideas and recipes. 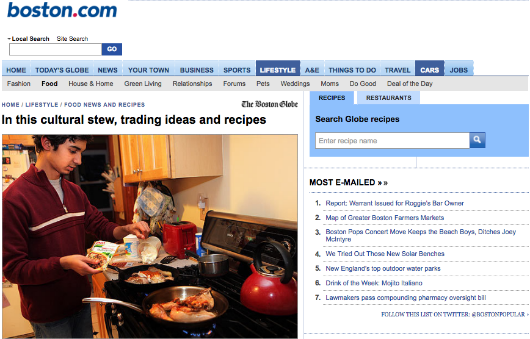 Boston Globe, January 13, 2010. 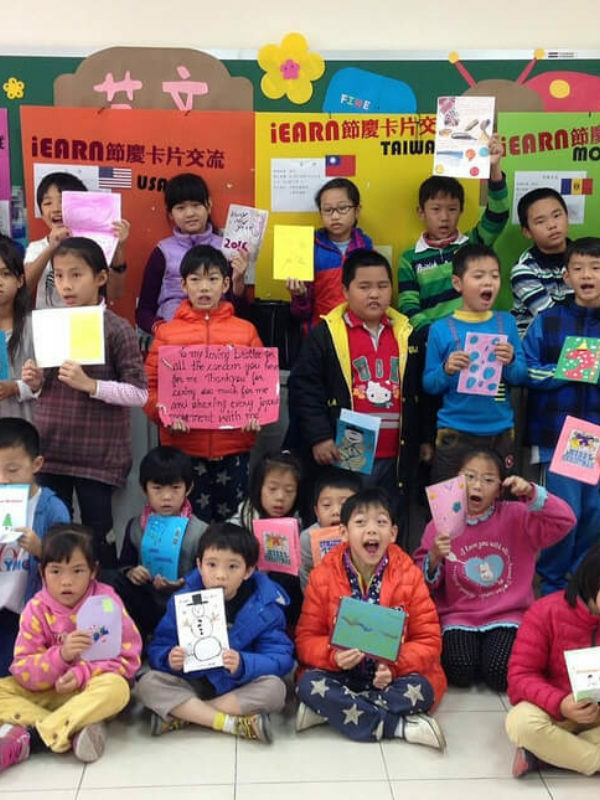 Story about YES exchange student recruited by iEARN-Pakistan living in the U.S. 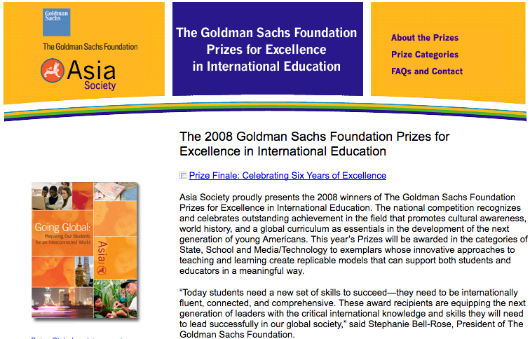 Independence Charter School, an iEARN member school in Philadelphia, wins 2009 Goldman Sachs Foundation's elementary school/middle school prize for Excellence in International Education. Guirguis, Dina, Making a World of Difference Through Online Global Education, SEEN (SouthEast Education Network), Nov. 20, 2009. 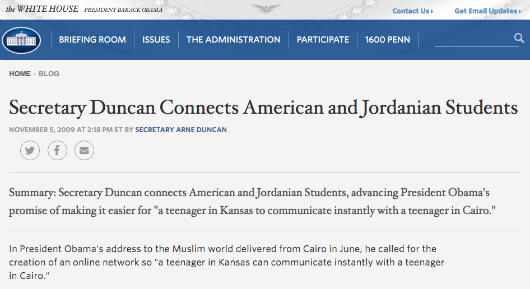 White House Blog, Secretary Duncan Connects American and Jordanian Students, Nov. 5, 2009. 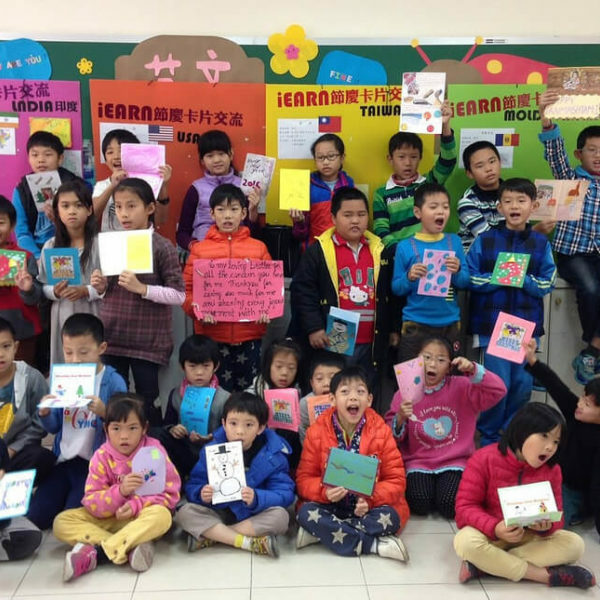 Huynh, Judy, Teacher Training In India, Kids Can Make a Difference, Nov. 2009. 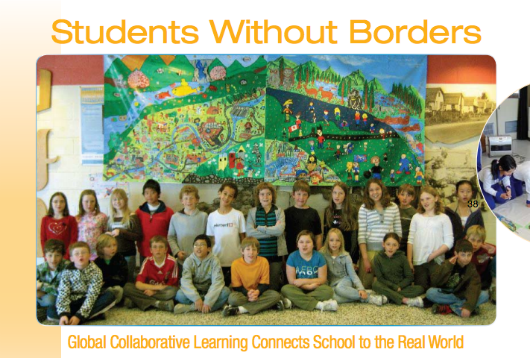 Carleton, Jim and Mali Bickley, Students Without Borders: Global Collaborative Learning Connects School to the Real World, Learning and Leading with Technology, November 2009. Peters, Laurence, The rise of the globally connected student. 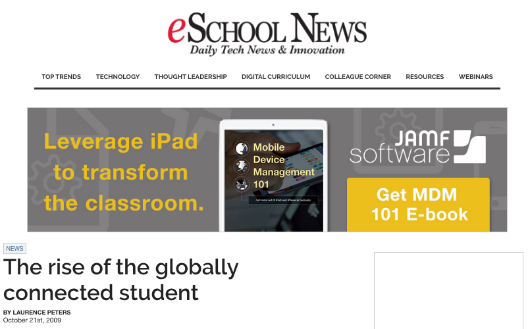 eSchoolNews, October 21, 2009.